Please note, this is not a slam against one particular candidate. 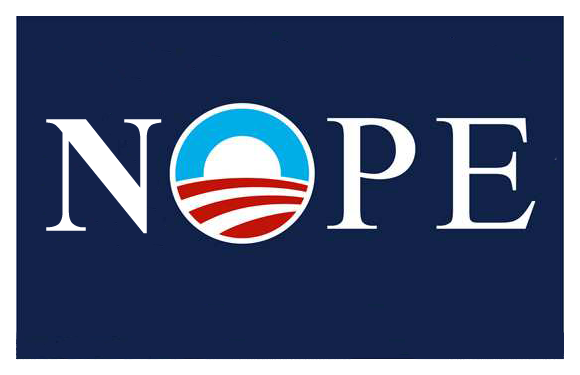 This logo was just particularly easy to manipulate and make the point. But is that really a reason to vote for anyone? Seriously? Most people have stopped paying attention to third party candidates. If you asked, they probably couldn’t even tell you who was on the ballot, or what that person stood for. We have a society of sheeple, just because they believe their vote won’t count if they don’t vote for one of the two major parties. I hear so many jaded people say, “Oh, I’d vote for ‘so-and-so’, but I’d just be throwing my vote away. I’m going to vote for ‘X’, even though I don’t agree with him, just because I can’t stand ‘Y’.” You know, if enough of these people actually true to themselves, their vote might actually make a difference. Whichever candidate you’re voting for, just make sure you’re voting for that person for the right reasons. The media doesn’t tell us everything. Go to the websites and read about the candidates and their positions on the issues that are important to you. That’s my rant for the day. Time for coffee. Good morning, everyone!